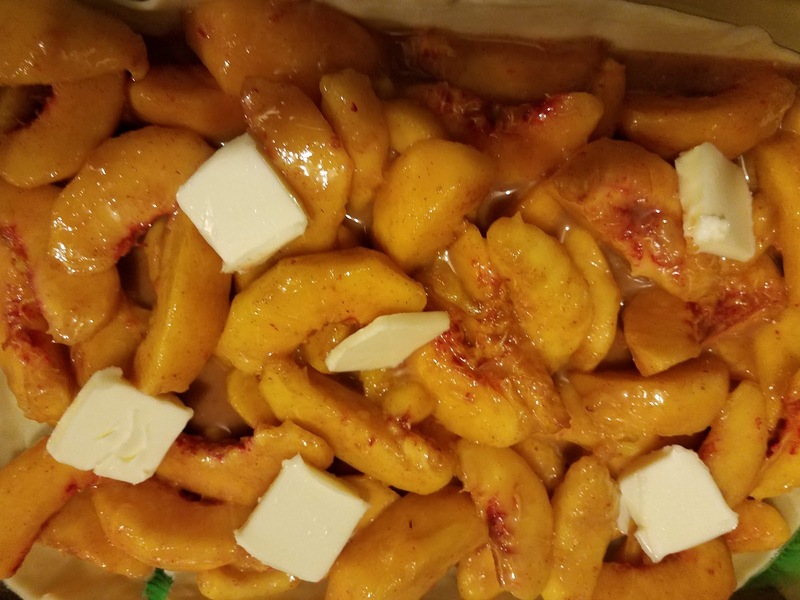 Food's Fan Club: Peach Cobbler at Its Peak! 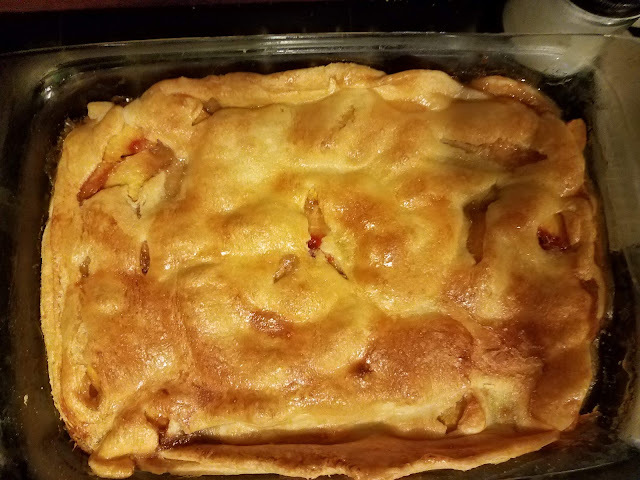 Nothing says summer like a quick and easy peach cobbler, smack dab in the middle of Peach season. The intoxicating aroma wafting through the air is akin to that of living beside a bakery! With this no fuss recipe, you will have your family members thinking you baked all day! 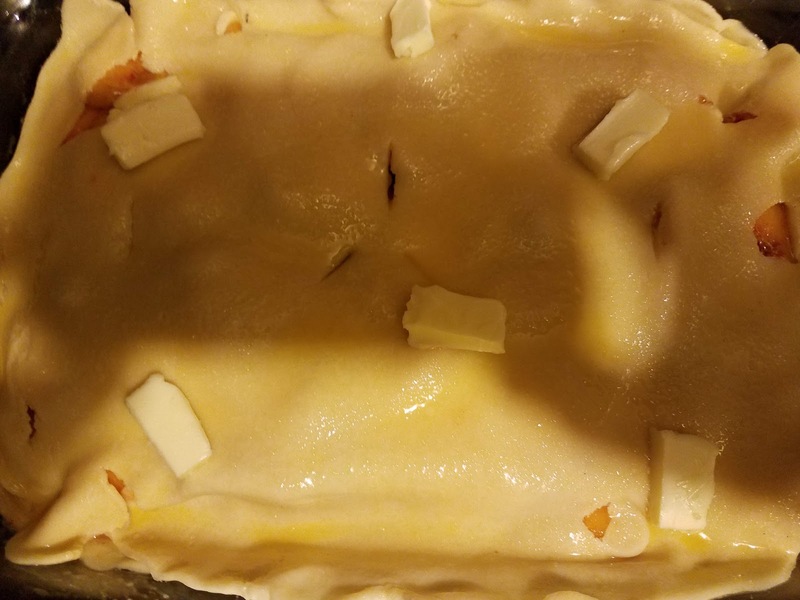 With the help of two store bought, roll out pie crusts, and maybe a pat of flour on your cheek, no one will be the wiser! Don't get me wrong, If time permits, a homemade crust is awesome, a flaky and warming exhibition of your dedication to a dish. By all means, use your valuable time measuring and chilling dough, when it can be as easy as PIE, pun definitely intended. Either way you slice it, this recipe is worth a try, you''ll be glad you did! Spray or grease baking vessel before pressing in crust 1. Mix all dry ingredients together and toss with peaches. Fold in/Stir in vanilla and lemon juice. Pour Contents into vessel and add crust 2 and dot with half of butter. Be sure to ventilate top crust! Sprinkle with sugar and a dusting of cinnamon. Dot top with remaining butter. Bake until crust is golden and cobbler is bubbly and fragrant, about 40 minutes. Serves Plenty. Great with a scoop of vanilla ice cream!